A mother of three and a respiratory therapist, M.P. McDonald has been an avid reader her entire life. As the fifth of eight children, hiding in the corner with a book was her only way to get a moment of peace. She has two other books available, No Good Deed and March into Hell, which are books one and two in the Mark Taylor series. This is the third. For more, visit McDonald’s blog. While visiting Afghanistan, Mark Taylor purchased a camera that had magical qualities. When developing the film from this old-fashioned camera, additional pictures would appear, depicting a negative event that would happen in the near future. Taylor would then dream about the events in these pictures and, if he acted fast enough, be able to prevent them. The series happens in the early part of this century, when film cameras were still in common use. The reaction of some readers to the second book in the series, March into Hell, was interesting and, in my opinion, missed the point. Through both books, Mark is consistent. He’s the good guy and, with the assistance of his magic camera, fights evil. That the primary evil Mark was fighting was a religious cult triggered some knee jerk reactions, not recognizing that Mark was still fighting evil. Deeds of Mercy is a return to Mark’s roots, in that many of the ways March into Hell was different from No Good Deed do not apply to this latest installment. As with No Good Deed, this book is operating in the political, rather than the religious realm. Who is friend and who is foe is no longer clear. 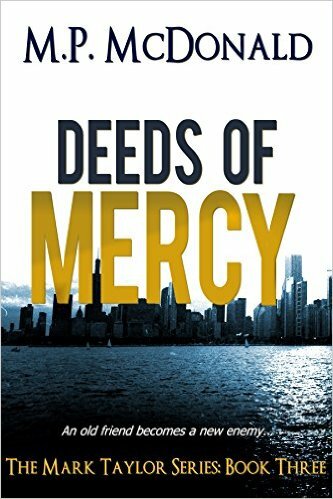 Deeds of Mercy also answers one of the big questions some readers had about what happened to one of the secondary characters from No Good Deed, and brings that story thread to a satisfactory resolution. 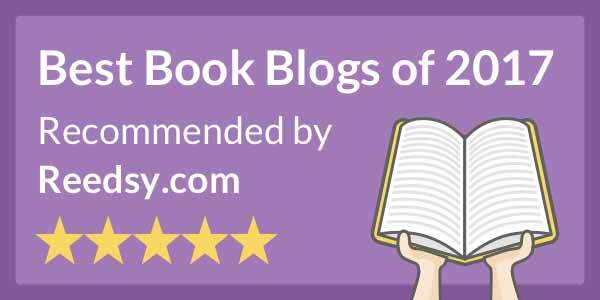 If you’re a thriller fan, especially political thrillers, and haven’t read No Good Deed, you need to. For those who have read the series and felt March into Hell didn’t live up to your expectations, Deeds of Mercy almost surely will. Although experiences from the prior books in the series are mentioned, a reader could probably read this as a standalone. However, I would advise reading the first book, No Good Deed, prior. 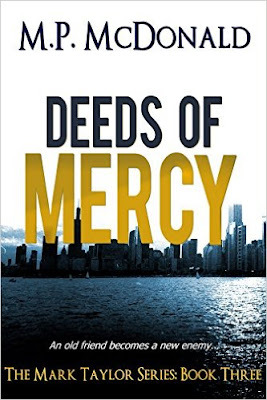 Added for Reprise Review: Deeds of Mercy was the winner in the Thriller/Suspense category for 2013 Readers' Choice Awards at BigAl’s Books and Pals and is the third book in M.P. McDonald’s The Mark Taylor Series. The original review ran March 15, 2012. This review is based on a pre-release, Beta version of the book, and I’m unable to comment in this area.